The Middle Eight: Backtracking: Twenty Years of janet. 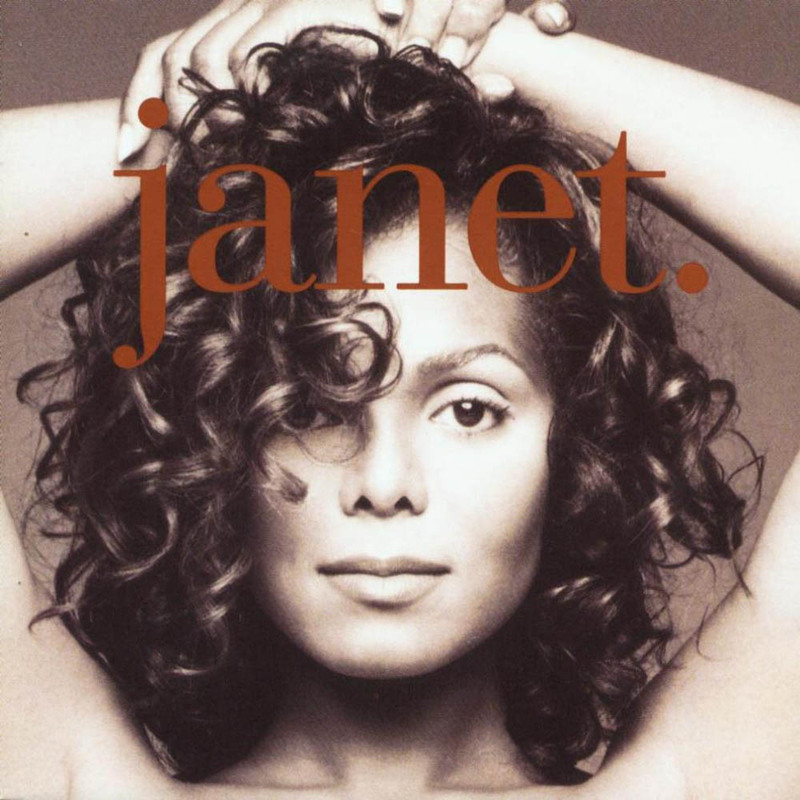 Backtracking: Twenty Years of janet. May 18th, 2013, was the twentieth anniversary of Janet Jackson's expansive - and epic - janet. LP. To celebrate, I talked to the legendary Jimmy Jam who, along with his partner Terry Lewis, produced janet. The piece is up now at Idolator. My interview with Jimmy yielded far more fascinating information than I could fit in the piece, so below are his words on a variety of subjects related to America's little sister, Janet. I’m a huge James Brown fan, so to be able to sample a James Brown song [Papa Don’t Take No Mess] and actually make it into a sensual song for me was a lot of fun, just as a producer. We had to get permission, because he clears all his own samples, right? He wanted to know what the lyrics were. He was cool…. He said, "I liked that, I like that, I just wanna make sure everything is good with the lyrics.” and we’re like "Yeah yeah, it’s nothing risqué or anything like that, Mr. Brown." He ended up liking it - it was real cool. I love her writing. We’ve done later albums with her that were not as successful and I would say that it was probably equal parts too many cooks in the kitchen and not enough writing by her. Because she wasn’t ready to make a record. When we were going in to start the All For You album, we had some good ideas and she honestly was kind of like, “I don’t really know what I want to talk about, I’m not sure what I want the album to be about. Terry can write the lyrics.” And we were like, “No no no, that’s not right, you gotta figure out something, you’ve got to write the lyrics. We’ll come up with the tracks." And she said, ‘Well, I’m not sure.” So after about a month, we were putting tracks together and she was up for three movies. She really wanted to do a movie... She got Nutty Professor – she was a big Eddie Murphy fan. We moved the album back… we came up with Doesn’t Really Matter for the movie. [Soon thereafter Doesn't Really Matter became a #1 hit] “Now once again she was focused and ready and excited about making an album... All For You and Someone To Call My Lover and all those songs came off the energy of Doesn’t Really Matter. It’s important for her to be involved in the process, because her energy is such an important part of it. Some of the later albums where, like I said, there were too many cooks in the kitchen or she really wasn’t writing, those records were not as successful. I’m not saying that’s the definitive reason, but in my mind that had a lot to do with it. If you’re a songwriter and you say, “I have nothing to write about," then you need to go live some life and find some stuff to write about. I feel so blessed as a producer to have a muse like that to create stuff with, because there’s no barrier. No "I can’t sing that because it’s too high/too low.” When we did If, I said "Can you sing down low?" and she said "Yeah, I think so.” She said "What kind of melody do you hear?" and I said "I hear a like an Indian chant" and the next thing, she came back with lyrics that followed that rhythm. It’s one thing for me to think wow, it’s be cool if that was the rhythm, but it’s another thing for her to actually do it with words. Part of her genius is her rhythmic sense with lyrics… she sings and it almost becomes another instrument. Before we started the process of recording, in our time apart we’d play each other songs that we liked in the meantime. I remember playing her a bunch of old Motown stuff... we used a bit of Love Child in You Want This. She would play me things from opera to flamenco. Her musical palate was so wide in the things she liked. Janet and Ralph Tresvant of New Edition both have the same discipline, which is the ability hear notes that are next to each other, but still stack them. We always wanted Janet to do her own backgrounds, we wanted her voice to be the dominant voice no matter what. She would have to work really hard. We’d do it so that it would be like a warm up, like, "Let’s do these backgrounds first to warm up your voice for the lead. By the time you get done with the backgrounds, you’ll be so happy to do the lead vocals" I stacked maybe a four or five part harmony and we’d do it four or five times on each note, so we’d end up with twenty tracks of just backgrounds, It could be oohs and ahhs. It’s patience, discipline, but it’s also trust. I would throw a note at her on the keyboard and it would sound like that note’s not gonna work. After maybe the second song we did, she trusted me. When it was done, it would be this great harmony. There would be a few dissonant notes in there, but somehow it would just work. The only other person I’ve worked with who can do this as well as Janet is Ralph Tresvant. A lot of singers they don’t want to do it and we don’t even try it. Those harmonies are something special. On What Have You Done For Me Lately? I think the idea of people appreciating a single song and buying it is good, because that is something that did get lost for awhile, with such an importance on albums. I just remember for me, I didn't know about albums growing up, but I knew singles that I liked and I'd always beg my mom, "Hey can I get this?" James Brown or Smokey Robinson. Whatever those songs were, I would have to do that. When I got a little older, I probably liked Chicago - they were one of my favorites - so I would go get the new Chicago album and I'd love it and I'd read the liner notes. There was an experience, a kind of maturation process, going from being a singles buyer to an albums buyer. It's almost like a rite of passage. That got lost, because labels kind of de-emphasized singles to make albums, right? They wouldn't even put a single out commercially; they'd say, 'Buy the album." Now what we have is... people like a single and they can get it. That's fine with me, I like the idea of that. because what happens is, I still think that maturation process can happen... Adele's a perfect example, then you have that phenomenon. If people buy her album and like it, then they won't be totally opposed to buying an album from someone else. If we do Janet and we do the complete album, I'm gonna think of it as an album. We're gonna still put segues between the songs... We should make it like that, but I'm not gonna begrudge people if they just wanna pick and choose and go, "I don't want the whole box of chocolates, but I'll take the ones with the macadamia nuts." That's fine... but at least I'm gonna make a nice box of chocolates. Needless to say, it was a pleasure to talk to an artist as gifted as Jimmy Jam. I hope the fans enjoy his commentary as much as I did. My tumblr today has a tag devoted to images/clips from the janet. album. It'll be expanded upon throughout the day (May 20, 2013). Check it out. You can also follow me on Twitter, where I tweet about pop music old and new. On Monday afternoon (the 20th, Pacific Time), Idolator will hose a janet. listening session / Twitter discussion (hashtag #IdolatorBacktracking). I'll chime in when I can! If you'd like to read my other pieces for Idolator, see this label for links. They include Backtracking pieces on En Vogue, Annie Lennox and Madonna, among others. Hands down her best effort to date! I disagree! BUT I think it has her strongest single offerings to date. That's The Way... and If are easily among the strongest in her catalogue. Steve, I think this is one of the BEST things you've ever written about, and that's saying something, as I've enjoyed everything I can remember you covering. This was even MORE informative than the actual piece! They should have used more of your information, but I'm sure they wanted to keep it to a certain length. I also disagree as I think her best singles period was Rhythm Nation, with this running third (behind Control). Just my personal taste though. Thanks SO MUCH for the insight. Weird how I was just saying similar things about her "stacked" harmonies the other day! WONDERFUL interview - all of the parts you share here and on Idolator. THANK YOU! Still want someone to do a great biography of Jam & Lewis. So much great music AND pop history they were amidst!!! Thanks Demetrius! Maybe I should do that book... hmmm.